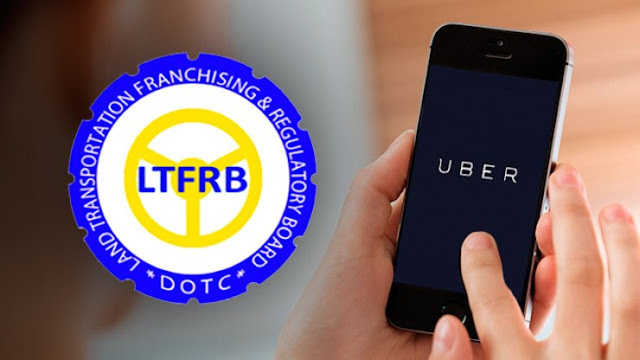 MANILA, July 21 -- The Land Transportation Franchising and Regulatory Board (LTFRB) has lost the accreditation papers of transport network companies (TNCs) Uber and Grab. LTFRB board member and spokesperson Aileen Lizada said Friday, July 21, that the documents are nowhere to be found in their offices. “Ever since we assumed office last year, we tried to locate the accreditation folders of both Uber and Grab. However after searching the office of the Executive Director and the Chairman, they are nowhere to be found,” Lizada said in a text message to reporters. According to the LTFRB official, the accreditation papers are supposed to be under the safekeeping of former executive director Roberto Cabrera but his staff said they were not holding the documents. The LTFRB is set to convene its technical working group that will tackle various concerns such as accreditation and pending applications, accountability and dynamic pricing scheme. In its order dated July 11, the board imposed a fine of PHP 5 million each for Uber and Grab for its violations and ordered them to deactivate more than 40,000 colorum Transport Network Vehicle Service (TNVS) drivers. Starting July 26, Grab and Uber drivers without franchises will be fined PHP 120,000 and their vehicles will be impounded for three months should they continue to operate. Both TNCs filed their separate motions for reconsideration (MR) Thursday to stop the LTFRB order which bans TNVS units without certificates of public convenience (CPC) or provisional authority (PA) to operate.